Between 2012 and 2013, carbon dioxide emissions were higher than in any other year since 1984, the UN’s World Meteorological Organisation (WMO) has said in its latest report (pdf) this week. The WMO’s Greenhouse Gas Bulletin shows there has been an atmospheric CO2 increase of 2.9 parts per million during that period, which is the biggest increase in 3 decades. 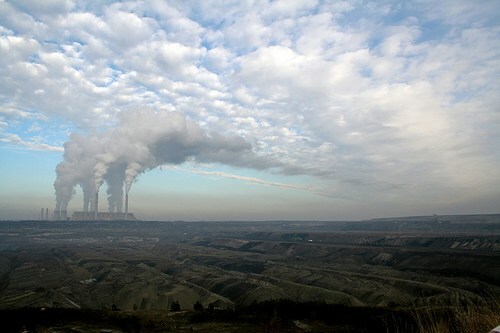 The total concentration of CO2 in the atmosphere rose to 396 parts per million. This is 142% of what CO2 concentrations were back before the industrial revolution. In other words, they have mostly been caused by human activity, chiefly the burning of fossil fuels. It is known that CO2 stays in the atmosphere and oceans for hundreds of years, so all the extra CO2 human activities have been emitting has been having a cumulative effect on both global warming and ocean acidification. Carbon dioxide is responsible for four-fifths of the increase in global warming from greenhouse gases. At this rate, the 400 parts per million mark will be reached as early as 2015 or 2016, although it has already been reached for short periods. CO2 levels tend to fluctuate somewhat between regions and seasons, but the alarming upward trend is very clear. The WMO says action needs to be taken to cut the amount of CO2 going into the atmosphere to prevent disastrous climate change. Policymakers worldwide are being urged to use the report as a clear “scientific base for decision-making”. By all accounts, the correct decisions need to be made as soon as possible.